The manager provided a BBQ at our request which worked great. Very knowledgeable staff for tourist info. Place to be avoided. Very dirty cabin, with plenty of dead bugs and spider webs. The owners are old and wish to sell. They don’t care anymore. 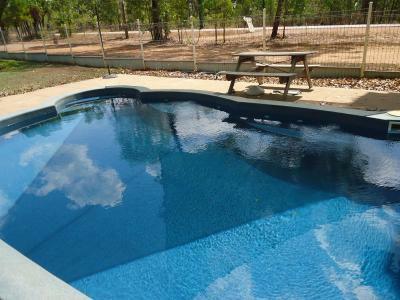 The pool was great, manages friendly, location good, cabins roomy and fairly well equipped. Decided to book a room for the Easter break with my partner since it said 'one remaining'. Arrived to check in to find the room had been sold because someone walked in 'paying cash'. Waited for 20 minutes and was told they would solve the problem by cleaning the last room that was dirty, and to come back in an hour or so. Returned a little later than expected but by 9pm the whole place was closed up, phone rang out, no envelope or communication, no phone contact or correspondence, just a ghost town. Drove around the place trying to find someone - no one. Had to drive to Palmerston to then find a room for the night, and $99 has been deducted from my account and he refuses to refund. Nice. All I heard was how busy it is and how tiring it is running a business, especially over the long weekend. How about being professional? The elderly owners were friendly and may suit an older customer. It was ok for a overnight stay. location was good n the place was just what we needed. Managers very nice and tried very hard under difficult circumstances. Good kitchenette. Good aircon. 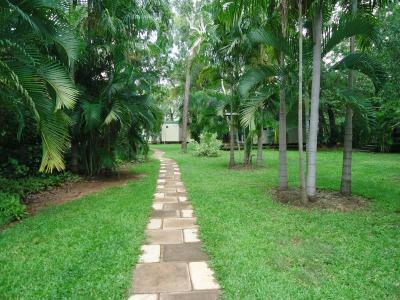 Pandanus on Litchfield This rating is a reflection of how the property compares to the industry standard when it comes to price, facilities and services available. It's based on a self-evaluation by the property. Use this rating to help choose your stay! 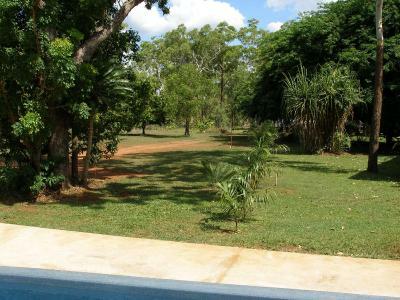 Featuring an outdoor swimming pool, Pandanus on Litchfield is located in Batchelor. 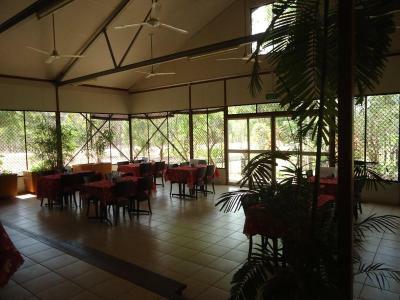 The property features a bar, as well as a restaurant serving Australian cuisine. 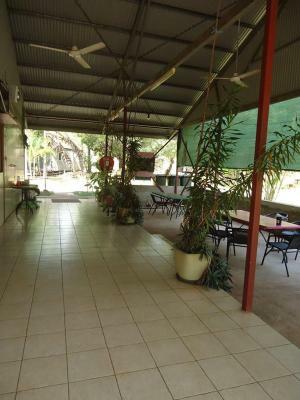 The property has BBQ facilities and free WiFi. All guest rooms at the resort are equipped with a flat-screen TV and a kitchenette. Each room has a private bathroom with a shower. 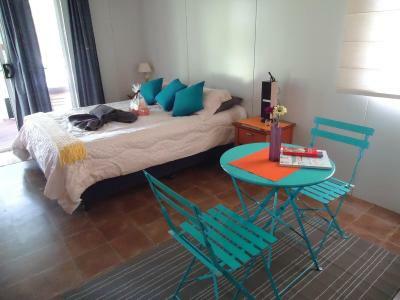 All rooms will provide guests with a desk and an electric tea pot. 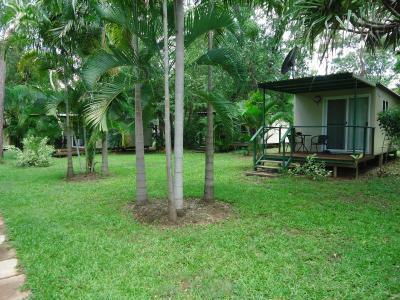 Darwin International Airport is 65 miles from the property. 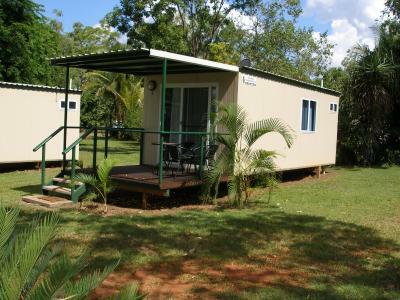 When would you like to stay at Pandanus on Litchfield? 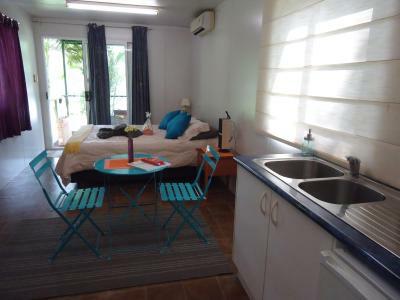 This double room has air conditioning, satellite TV and a kitchenette with an electric kettle. 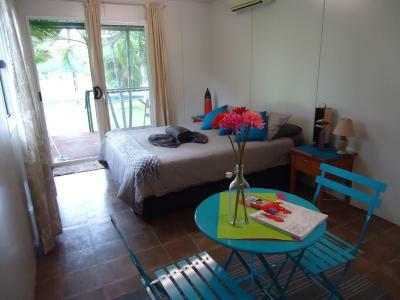 This double room features a view, electric kettle and air conditioning. 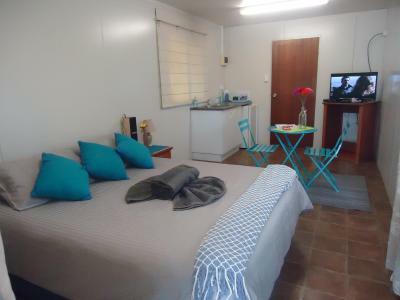 This triple room features air conditioning, private entrance and an iPod dock. 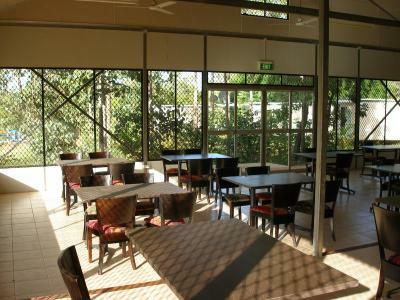 It offers tea an coffee making facilities, a microwave, toaster, and kitchenware. This family room features a kitchenette, electric kettle and air conditioning. 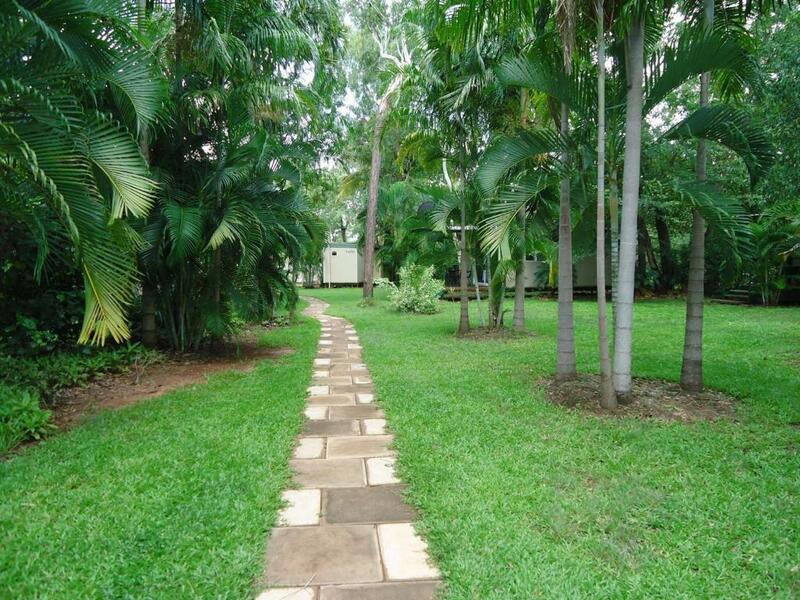 House Rules Pandanus on Litchfield takes special requests – add in the next step! 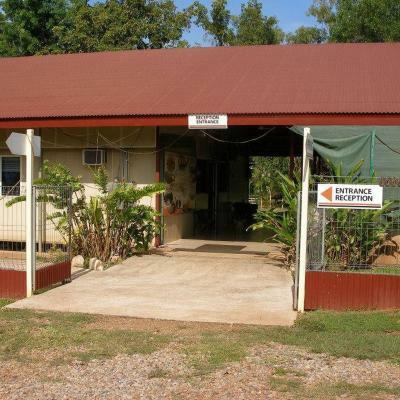 Pandanus on Litchfield accepts these cards and reserves the right to temporarily hold an amount prior to arrival. Not many options available for dinner on the menu, not very clean, needs maintenance. The cabin smelt musty. Maintenance was needed on a couple of things. Very tired property. Needs a serious refurbishment. The bed was very comfortable and I had a very good sleep! 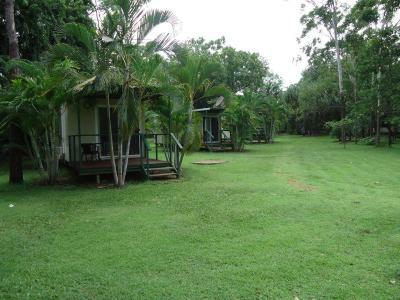 The location is perfect for a get away from the city and exploring Litchfield NP. Owners are so lovely! Mattress on bottom bunk bed was VERY WORN and very uncomfortable. No plastic sheet could be found for toddler’s potential bedwetting. Payment issues because of lightning strike. Temporary Managers(place for sale, owners not there) had a lot to learn yet. Pool did not look inviting. Bathroom fan roared like a lion. Abit hard to park next to cabin. Basic but clean and welcoming. Comfy bed. Great watching TV with the hosts and other guests in the restaurant. Lovely gardens. Peaceful and quiet. No fuss hosts. Pool needed cleaning but it is the Wet Season and algae is hard to keep at bay. If you want to relax and enjoy a no fuss weekend away this is a great little place. Very friendly staff. 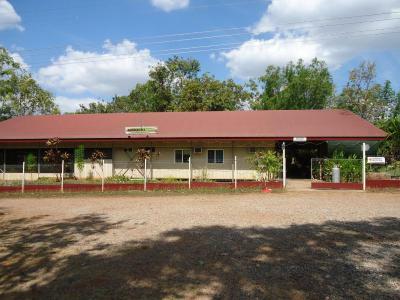 Nice location close to national park. Staff were a group of old people and they are very friendly and nice. They will cook anything for you with the ingredient they have no matter what time. The owners are very friendly. My dinner had a home made taste to it and the bed was really comfortable.